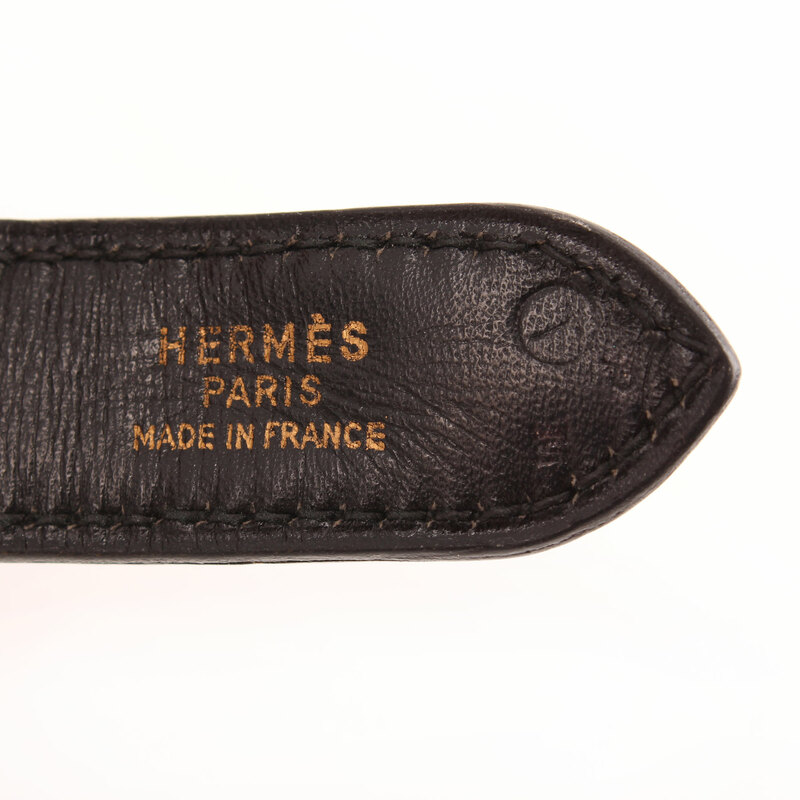 Hermès Trim II Box Calf. 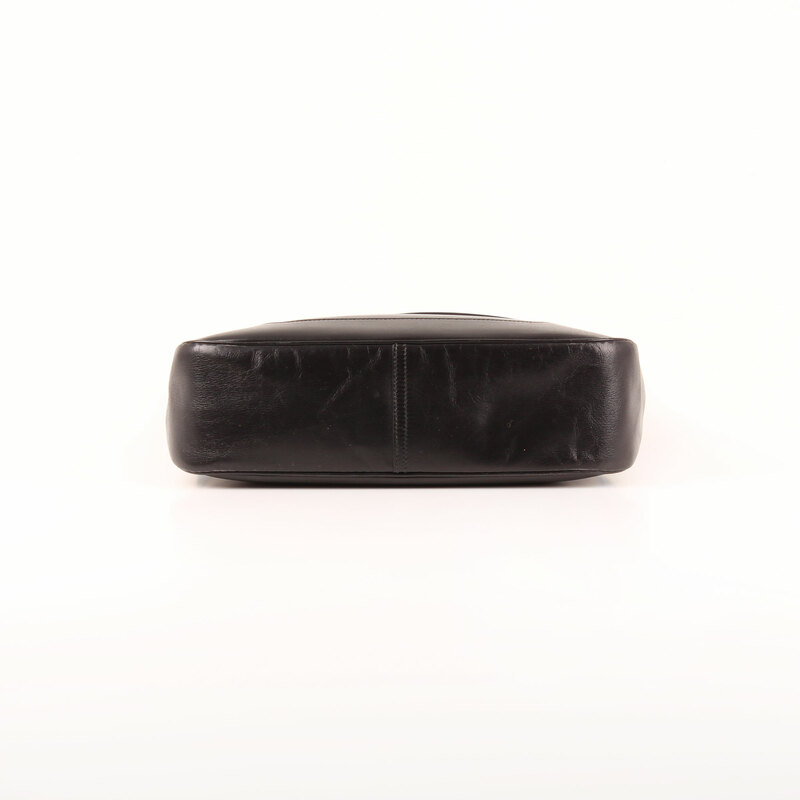 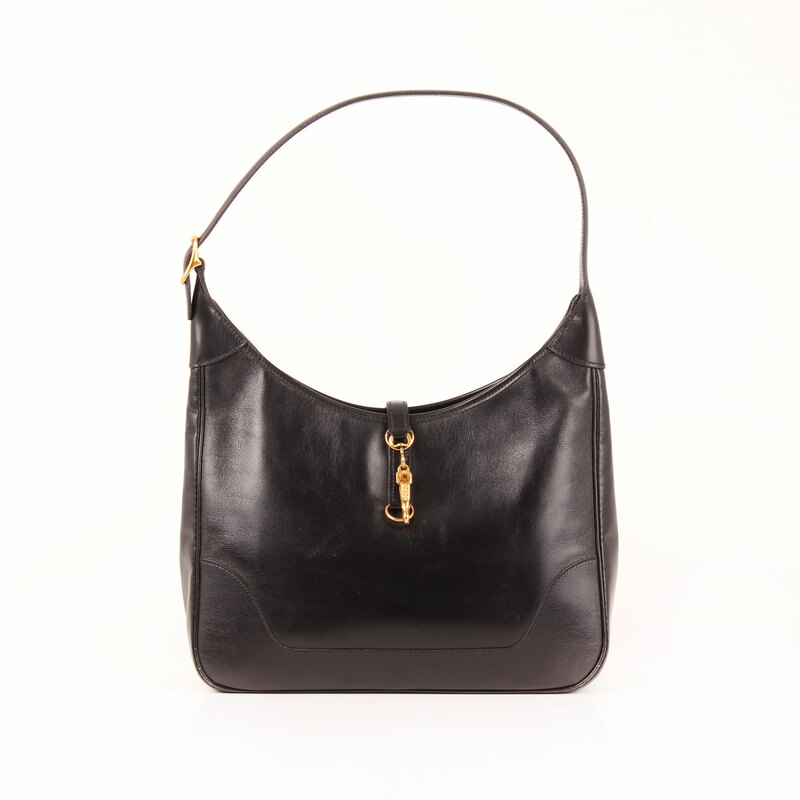 The easy elegance pouring out of this comfortable, versatile, black piece of classic history of bags. 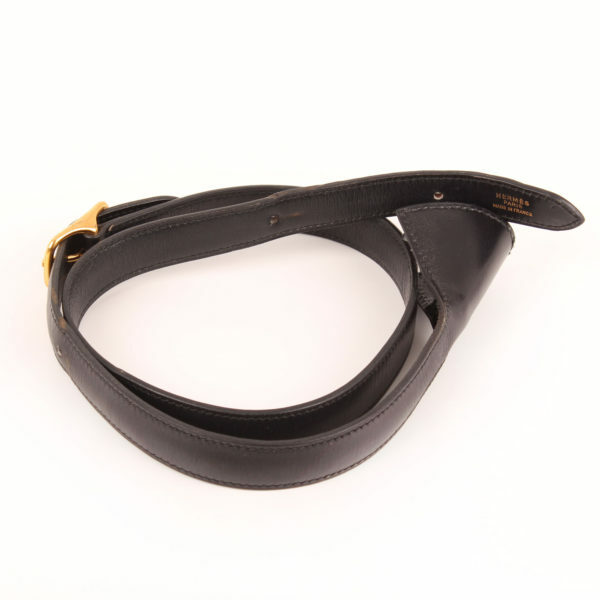 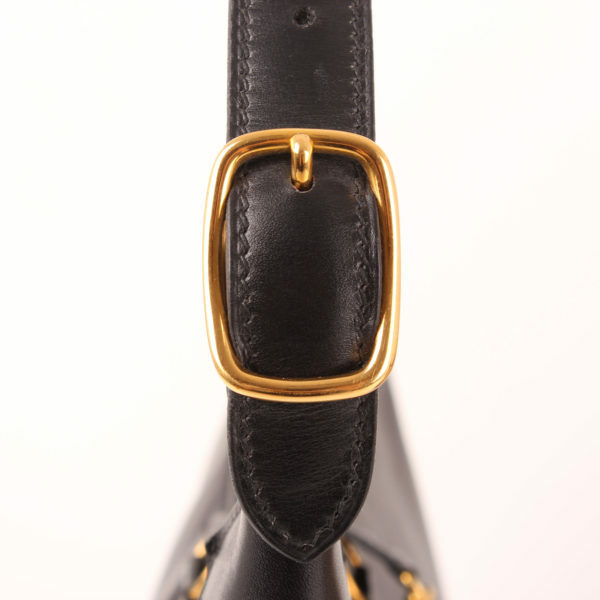 Hermès Trim second generation in black Box Calf leather and gold hardware. 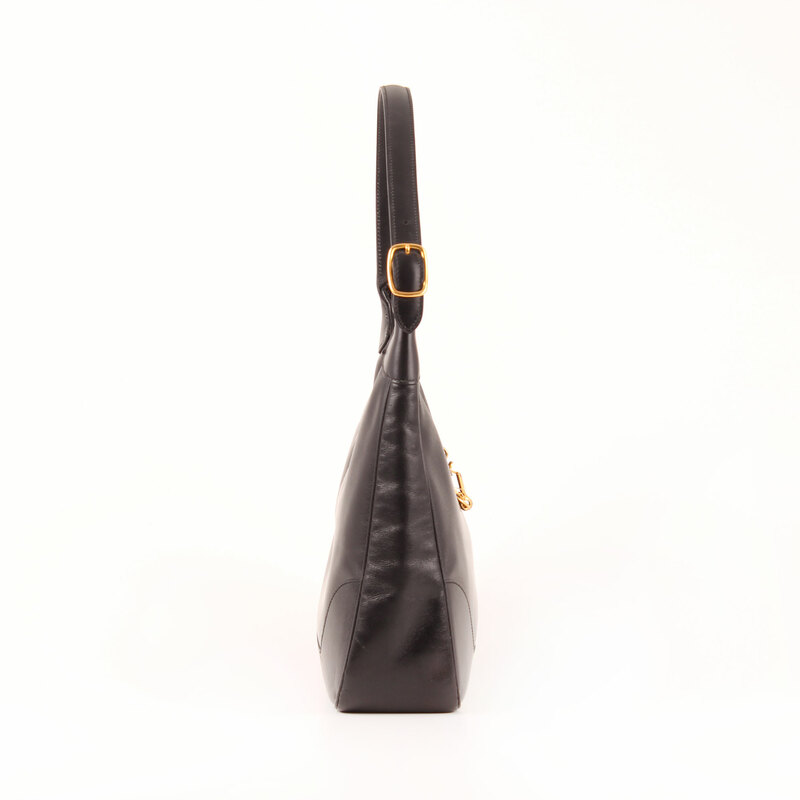 This bag is conceived to be carried on shoulder thanks to an adjustable strap. 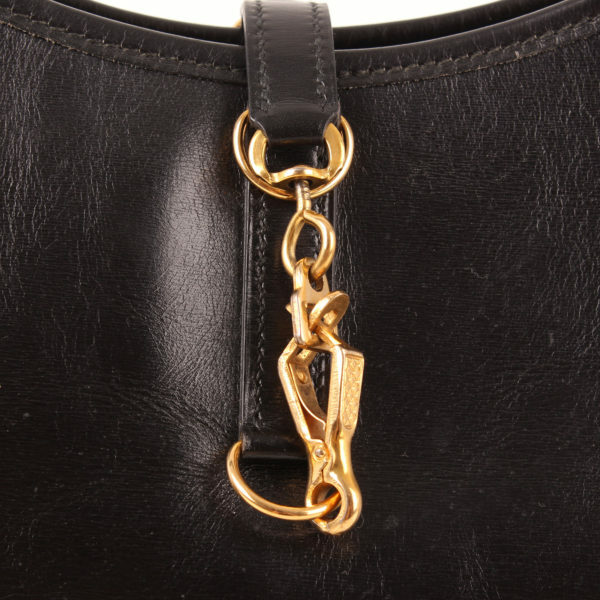 The bag presents a carabiner that attachs to a ring and works as a clasp. The Trim includes dustbag and a longer strap to be sewed to the bag. 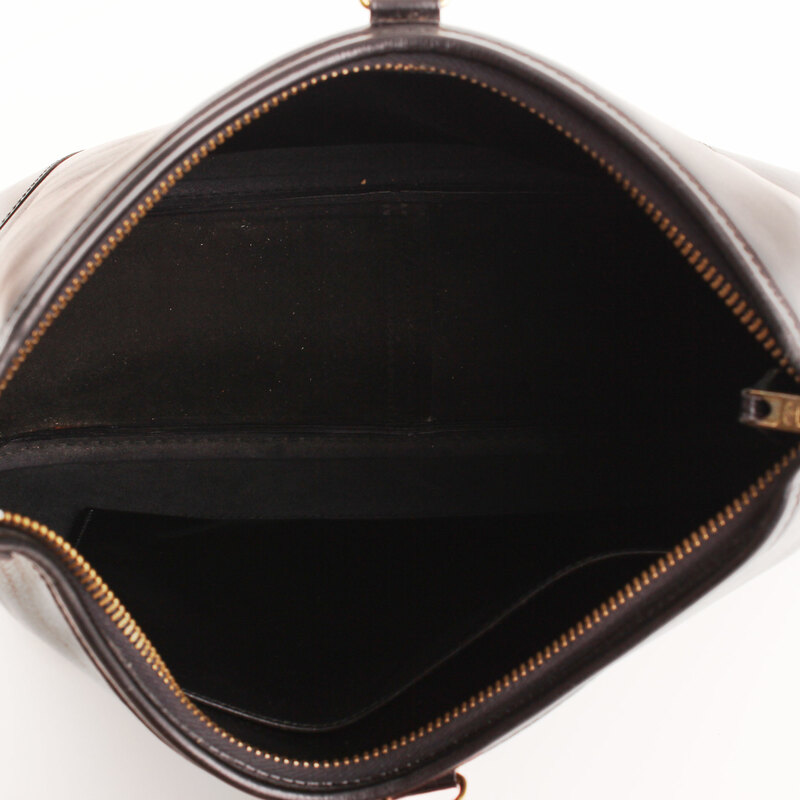 Lining has an open flat pocket. 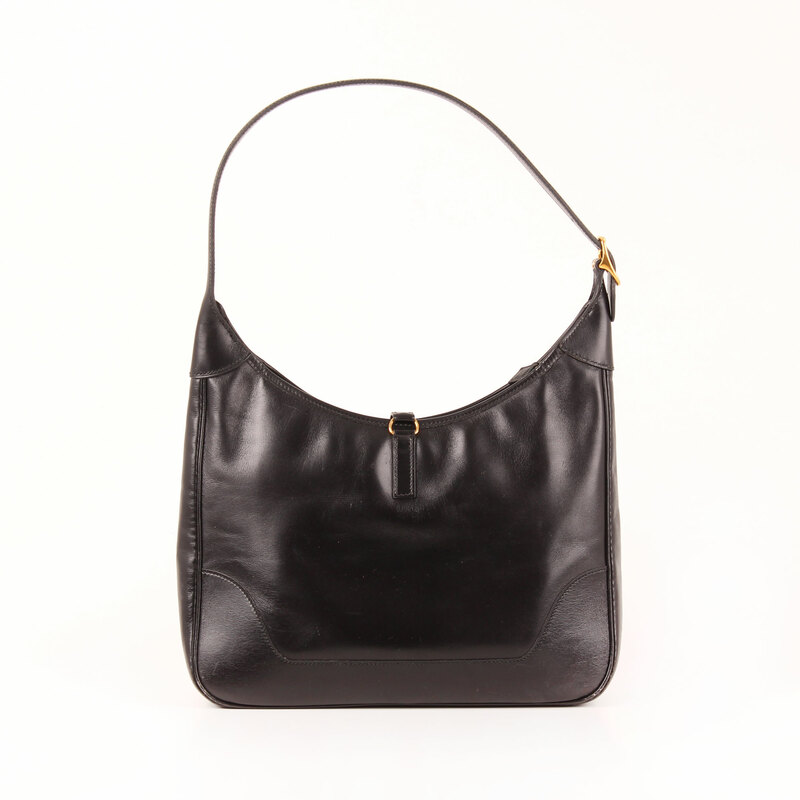 This bag is a great model whose skin and color awards it with a versatile sober elegance. Includes: Dustbag and additional strap. 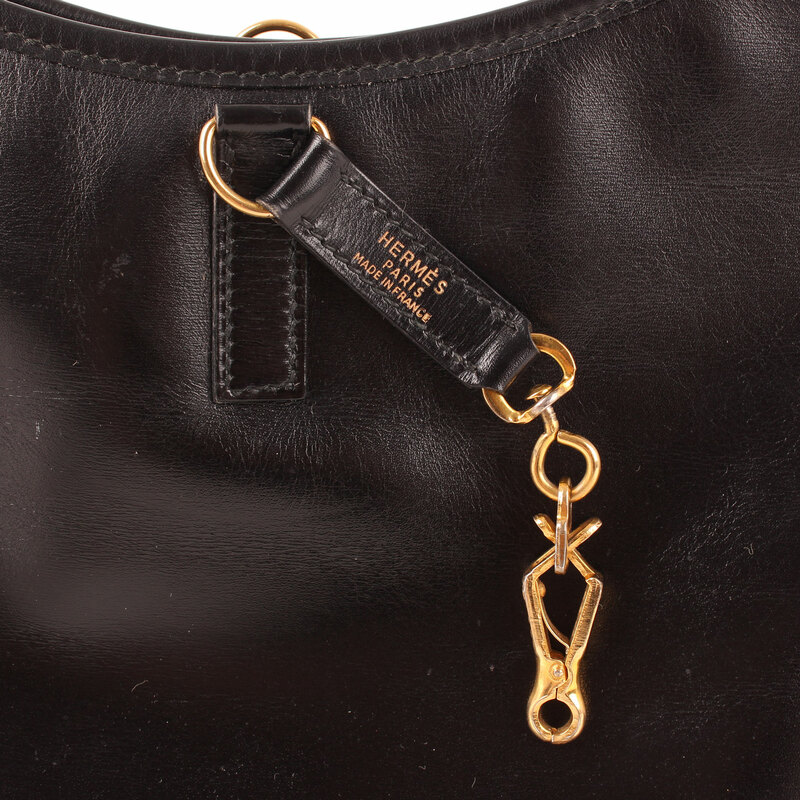 Details: Sings of wear in leather. 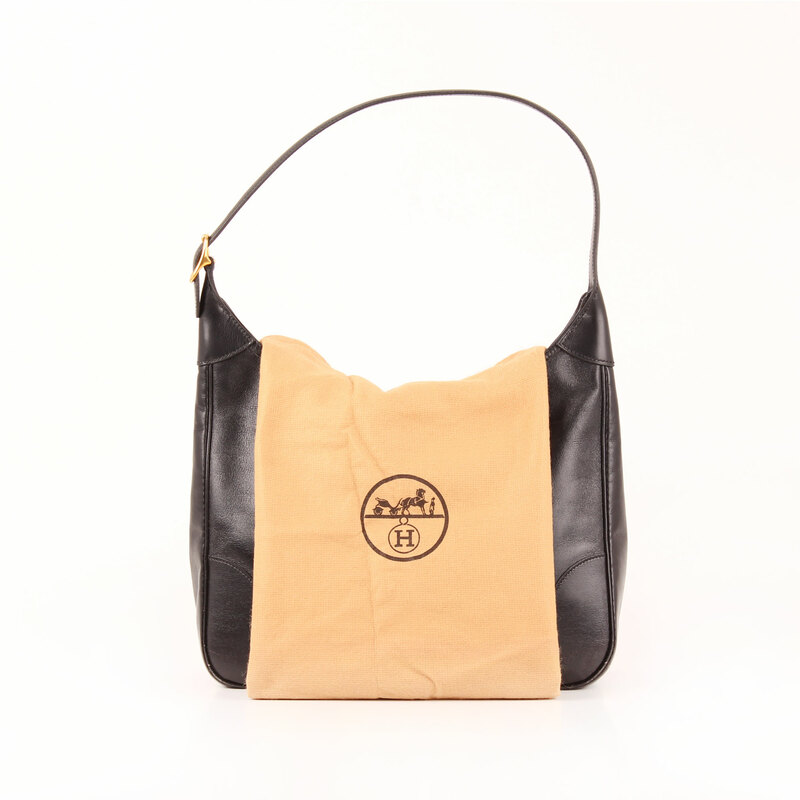 Used lining.